Tile Saw SIMA Ambar to cut all types of materials such as; tile, terrazo, bricks, marble, granite. Adjustable for 45 degree cutting and give a precise, clean cut. The PERLANATO range offers fast, reliable and efficient solutions, performing the two basic functions that the tile fitter needs on the work site: a 90º and 45º fine cut. high (hard tiles, terrazzo, terracotta brick, marble, gres, etc.). 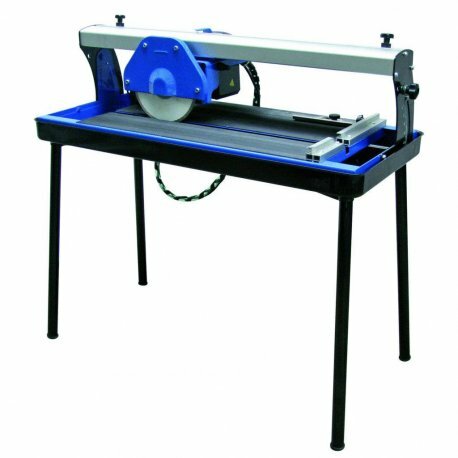 • All PERLANATO models are delivered with a tile cutting diamond blade included. • The water supply hose pipe and wires are placed and lock so they never disturb the cutting field, but maintaining the necessary flexibility.